How Do Berry Fertilizers Work? As most growers know, there are a number of soil and condition requirements to be considered when attempting to grow berries. 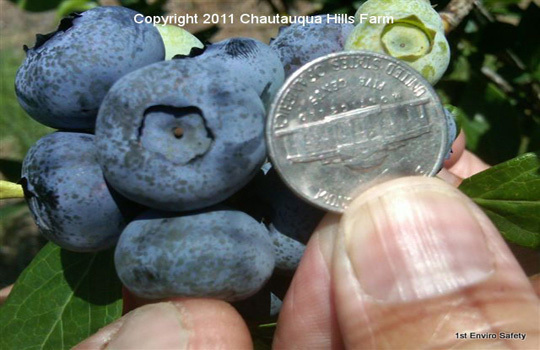 Some berries are more susceptible to climate, insect and disease and soil issues than others. In general, however, berry fertilizers work by reintroducing essential nutrients like nitrogen, phosphorus, potassium, calcium, and magnesium to the soil, all of which are required for good berry production. These elements are frequently depleted through repeated planting and harvesting of soil. The advantage of berry fertilizers today is that they are specifically formulated to address the individual growth needs of specific berry crops in specific geographical locations. This takes the guesswork out of what kind of fertilizer to buy, what strength to use and when to apply it. Berry fertilizers are easy to find and generally simple to administer to soil. 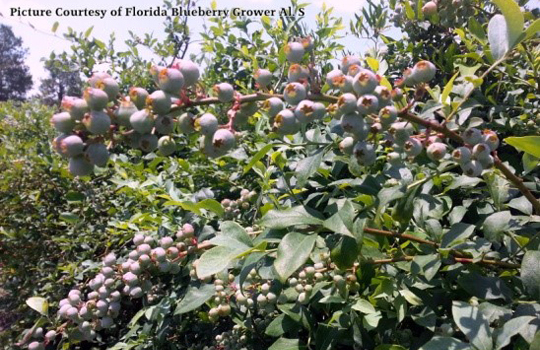 Like all fertilizers, overuse of berry fertilizers can be a major problem. For berries, in particular, it’s important to know when to add the various nutrients to capture their optimum benefit at different growing stages. Effective nutrient management planning increases productivity and profitability. When overused, fertilizers can actually diminish the soil’s productivity, burn the plants and result in unintended contamination of waterways via fertilizer runoff. This contributes to reduced yields and increased costs, neither of which does a grower need. Fertilizer boosters are specifically formulated products designed to increase the ability of plants to more efficiently absorb needed nutrients and moisture from the soil. This added efficiency can result in a reduction in the amount of fertilizer needed to promote optimum plant growth. Less fertilizer use means less impact on the environment and on human health and less cost to the grower. BioWash is a premier fertilizer booster. Berry plants, like humans and animals, are electromagnetic and so are subject to Periodic Law. BioWash contains tiny particles called “colloidal micelles”. Each of these micelles contain a negative electro-magnetic charge that is capable of attracting, holding and exchanging positively charged particles (Cations) of magnesium, calcium, carbon, trace minerals and other nutrients. Roots easily absorb these cations, allowing the plant to more efficiently absorb and process nutrients essential to its growth. A positive side effect of BioWash is that it contributes to higher production of BRIX (sugar) in the plant. Higher levels of plant sugar promote faster growth, quicker berry maturation and sweeter fruit. Plant sugar also helps reduce insect damage to the berry plant and help in moderating cold or frost damage, down to 27 degrees.